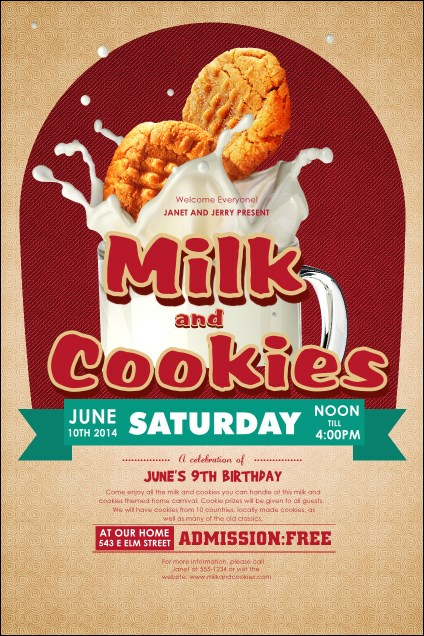 Add to your promotional treats and advertise with the Milk and Cookies Poster. Bright red text stands out on a soft pink background, with a teal banner announcing your gathering. This design features a big picture of two yummy cookies splashing in a mug of milk. Find more guests for your party with the right design from TicketPrinting.com.